Damn does that cake look good! Cheat meals. Everyone thinks about them when following any diet, and the ketogenic diet is no exception. You might be wondering if you should have cheat meals while going keto. Is it worth it? Is it okay? Will it mess up your progress completely? Intellectually, why would you want to eat something that isn’t in line with your goals or your health? Let’s face it, cheat day meals are bad for you. We know it. 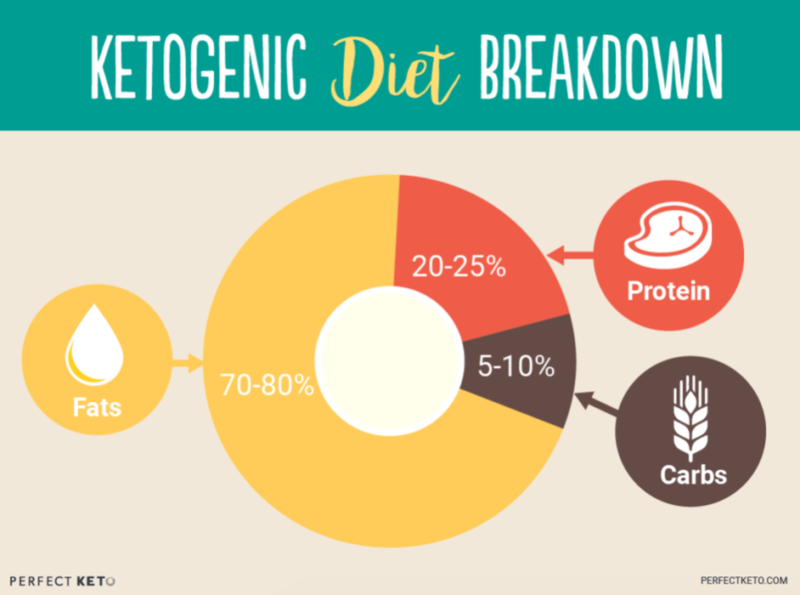 The ketogenic diet is simple, but not always easy, and there are some grey areas, so lLet’s talk a little bit about what happens when you have cheat meals and whether or not they’re worth it. You might know people who do low-carb long-term and schedule cheat meals in at regular times, such as on the weekends or set days each month. While this creates a healthy mindset around not needing to be perfect, things are a little different with the ketogenic diet. Since keto is stricter than other low-carb diets, (see our post on keto vs. Atkins) it’s more tempting to have cheat meals. However, the effects of them can be more dramatic. Since cheating on the keto diet more than likely will take you out of ketosis—especially if the cheat meal or snack is carb-heavy—you have to be prepared for this fact. Know that it’ll likely set you back some and take some time to get back into a ketogenic state. When you have eaten what you suspect was a “cheat meal,” put it to the acid test, and test your ketone levels. People are often surprised that they stay in ketosis after certain meals, or get kicked out after others. Your body has to make changes, such as altering specific hormones and increasing enzyme production, to optimize conditions for burning fat as fuel on a ketogenic diet. Having cheat meals regularly can prevent your body from continuing this process long enough to stay in ketosis. If you aren’t maintaining ketosis, you’re not reaping the health and fat-burning benefits that come along with it. You’ve spent all this time getting your body keto-adapted, so just ask yourself if you’re prepared to interrupt all that progress with extra carbs. Typically any immediate weight gain after eating more carbs is water weight, but too many cheat meals over time can negate the effects of a ketogenic diet as a fat loss tool and cause those pounds to start creeping back up again. One of the reasons keto is popular for those with type 2 diabetes or blood sugar issues is that it’s great for stabilizing blood glucose. Eating carbs from cheat meals can cause blood sugar to spike to high levels, possibly even dangerous levels. This is something to consider not only for those with diabetes or pre-diabetes but for anyone sensitive to the effect of sugar and refined carbs (i.e. mostly everyone). Think about how your body adapts to burning ketones for fuel. In a slightly similar way, your taste buds take some time to adapt to ketogenic diet specific foods. But over time, you get used to eating real food and that’s what tastes the best. When you interrupt this process with more junky cheat foods, it can be like resetting your taste buds again. Garbage in, garbage out. While you might bounce back pretty easily with your next keto meal, there’s now a possibility that you’ll suffer through some serious cravings for a little while as you adapt to low-carb foods again. This can actually make it harder to jump back into the diet and can really ramp up your cravings. The ironic thing here is that studies show that when we are craving foods, we are almost always craving fat, however, most humans mistake this craving for a carb craving because of the readily available highly processed carbs that are ubiquitous in the western world. For many people, what starts as a moderate cheat can turn into a full-on binge fest. If that’s you, cheat meals might do more harm than good on your progress. Cheat meals can cause some people to feel out of control and emotionally unstable on their diet with the harsh change between clean keto foods and junk foods. The ketogenic diet is at times very hard to follow long-term, and sometimes cheat meals can make it hard to jump back into it. It seem’s like a whole lot to lose and not much to gain in this proposition. If you remember from our post “How I Fixed the Biggest Ketosis Mistakes” there is also mistake behind the mistake. Rationalization is taking a thought or action that is unreasonable, and making it seem reasonable. It’s how we make insane thoughts appear to be sane, and it’s a pervasive defense mechanism to protect our ego and feel emotional security. Rationalization is also the downfall for many a diet because, as we all know, thoughts proceed and lead directly to our actions. But how should we address our tendency to rationalize and avoid the mistake behind the mistake? The cure to rationalization is to put pen to paper. Write your plan, and your goal and periodically write your own self-examination. Your pride will tell you, you don’t need to do this. Try it. If it doesn’t work you can give it up! On the Cyclical Ketogenic Diet (CKD), you typically eat the Standard Ketogenic Diet for around five days followed by a couple days of eating higher carb, such as on the weekend. While this will still likely kick you out of ketosis, following a CKD can make eating keto more manageable to live with and can also help you preserve your lean muscle mass. If you’re going to have a cheat meal, choose something that’s worth the cheat. Meaning: make it something you enjoy that you can eat mindfully and feel satisfied. This will reduce the chances of binging and truly make the cheat meal with worth it. For example, if you’re traveling or celebrating a special occasion and want to eat something that makes you happy. When it comes down to it, it’s ultimately up to you whether you want to make cheat meals a part of your ketogenic diet. 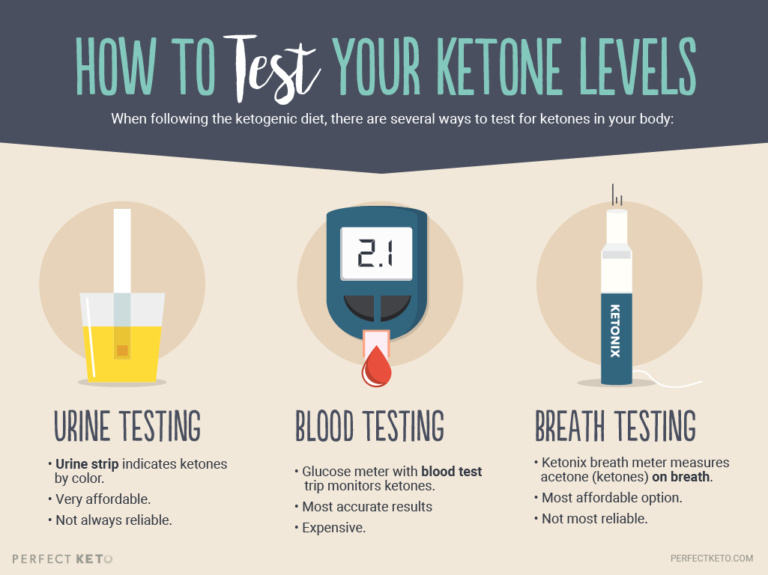 However, we are adults so it’s important to be prepared for the consequences and understand what it will take to get back into ketosis afterward. We totally get it. Sometimes ketonians just need a cookie. Check out our Perfect Keto Chewy Chocolate Chip Cookie recipe with top-of-the-line ingredients. You can literally feel damn good about yourself eating these. Check back soon for more keto desserts on Perfect Keto. information… Thanks for sharing this one. I train a lot as well if I had to hit a hard gym session will it help? Had amazing results with this new lifestyle…. and feeling super guilty after pizza and wine ? I had about 10 Tortilla chips with salsa this weekend and felt totally guilty. How much damage did I do? Not to worry Christina, feel free to forgive yourself and get back to eating towards your goals. I would test my ketone levels and make adjustments from there. It also depends on how often you decide to cheat. I generally stay on a strict, 20g carb per day diet year round. One day every 3 months I will allow myself to enjoy the carb-laden treats I usually avoid. Birthday, anniversary, Christmas and 4th of July are my usual off days and can make these special occasions even more fun. A week or so afterward, my ketone levels are right back where they should be, and it’s business as usual. No mention of 85% cocoa… is this a no-no? Or is it considered a cheat or a keto approved food? I have a fantastic recipe for almond butter cups with coconut oil and 85%.The macros for this treat seem to work out in line with the Keto diet. Any thoughts? This is very helpful. I’m three weeks into keto and have achieved great results, but having family visiting next week I want nothing more than go out for coffee and cake with them. Following this I’ve decided to allow myself a slice of delicious cake – followed by a good crossfit workout to hopefully my kickstart ketone levels. I find that a cheat makes it difficult for me. I have been off of the diet for a while now due to a cheat and seems hard to get back on it. Wish I had never stopped. However, the good news is that I have not gained weight back. I started a water fast and i am on Day 8 . All week only water but last night I had some Jack and coke ( coke zero sugar ) which i forgot that when i drink i eat so last night I eat half of a Digiorno Pizza this morning i ate the rest. One Digiorno Pizza has 1800 calories so half yesterday and the rest this morning is 900 calories per day and I have had only water for 6.5 days on the night of the 7th day I did this mistake so now i am back on water fast only so I dunno how long it will take to get back into Ketogenic state but I will do it agian this next week lol. Another thing is I am not on a ketogenic diet which i think takes the body 7 days to a month to get in to Ketosis state. I am on a water fast so I have read if your on a water fast it takes about 48 hours for women and 72 hours for men to get into a Ketogenic state . I hope I can be back in Ketosis by Tuesday its Sunday now . Hey Corrie, 85% cocoa should be okay depending on your goals and just make sure its unsweetened! Check the labels and take the carb/sugar count into consideration as well. Also, sticking with high quality brands of dark chocolate is definitely a good idea as well. I have been on a keto diet for 3 weeks now, and down 15lbs. It still surprises me how i’ve stuck with it. Problem is, i get bombarded with temptations left and right to cheat. Even my mom feels bad that I cant eat a McRib… LOL. anyway. After reading the article, doing a little shopping on Perfect Keto, and a small plan I think I can manage this. Instead of the cyclical way, or once a week cheat meal, I’ll stick to once a month cheat. Afterwards i’ll fast and ease back into ketosis. Then begins another month of burn. I’ve done as much research as i can, but I am still learning everyday. All I know is that keto is a lifestyle, and if I want to see long lasting results, I will have to stick with it for the long haul. Hey Chris, you are right on the money!! Keto is definitely a lifestyle and the benefits will continue to show up as you progress through your journey. I’ve been studying the ketogenic diet for over 3 years now and I STILL learn something new everyday. Keep up the great work!! I’m going into week two and of course Christmas is looming around the corner! My grandmother made homemade lemon curd tartes and OH MY GOD I WANT ONE. Just one! But my mind is racking with guilt!!!! I’m doing my Keto strip test tomorrow. Is one small treat going to knock me out of these last two weeks? Hate feeling overly dramatic but damn! It’s hard feeling guilt when you’re seeing great results but so desperately want that damn treat!!! Meh, just polished off a bowl of Captn Crunch. Won’t feel guilty about it. I dropped 25 lbs in 2 months so a splurge on New Year’s is worth it. I know I’ll feel bloated for a couple days but not gonna beat myself up for having a treat. Thank you for all of the comments, so helpful. I began the Keto diet New Year’s Day after dabbling with it a bit in December. A friend lost 38 pounds in 6 months (she has been a great resource to get me jumpstarted with suggestions such as supplements, specific brands of mct, and other). I would like to lose about 30. I am half way through healing from a broken fibula, so my exercise is minimal. I am doing a little upper body strengthening (very out of shape). Knowing that each body is a little different, do you think I will lose any weight with a sedidentary lifestyle? Hey Melanie, great to hear you are jumping into keto. I definitely think you will see success even with a sedentary lifestyle right now. The foods you consume have a huge impact on your health and weight loss independent of exercise. Hi Hakim, that’s called cyclical keto which isn’t uncommon. It really depends on how your body responds to it. I would recommend sticking to the healthier, whole food based carbs if you decide to do this though. Avoid the processed junk as much as possible. Eat less than 20g Carbohydrates and pretty much can assure you in 24-48 hours you’re back in ketosis. It is true that fasting is the quickest way to get in ketosis, but it’s not necessary at all. I have been on Keto 2 and half weeks. 1st week lost 9 pounds. Second week nothing. Going into 3rd and have only lost a pound. However, I have been sick with the flu for 3 days. Ugh! Chicken broth is all I can tolerate . Dang it, this morning , I thought I would try to eat some grits which is loaded in carbs. Might have eaten a cup. No appetite. I hope this does not totally screw up my Ketos. I am concerned no more weight lost 2 and 3 week. I listened to a Joe Rogan podcast & they spoke about calories canceling out keto effectiveness. They mentioned over eating of nuts & fats, for example. Best of luck! I have been on keto almost two months the first two weeks I have lost 13 pounds after only 2 pounds do you have any advice how to make it more efficient ? I’ve been doing keto for over a year and love it but I feel that at times it gets too restrictive! I wish bakeries and other small coffee shops would incorporate keto based items, that would be the ultimate! …but anyway, I work out 7 days a week and feel the uncontrollable urge to have something like a slice of pizza or a blueberry muffin. So today, I had my keto breakfast- hard boiled egg and XCT oil with decaf coffee and one brazil nut. Then, THEN! later in the day I was in a coffee shop and planned on just ordering a reg coffee. NOPE! that did NOT happen…I had 3 muffins, 2 apple fritters, and one cinnamon blowout. It was unbelievable and the best feeling ever. There’s just too much stress if I didn’t cheat. At any rate, I was still hungry so I had like 3 slices of pizza…do I feel guilty? of course, but should I? I mean can the CKD work, or would I always be in between metabolic states? Also, what can I do to avoid this irrational and over-indulging behavior please? I’ve been on keto diet for about 2 weeks and lost 4 pounds. Today I had a weak moment and had some gummie bears! My favourite junk food! My carbs are at about 35%, fats 49%, and protiens 16% now 🙁 . Will this take me out of ketosis? Have I destroyed my progress over a craving and have to start all over tomorrow? Hey Travis, have you tried incorporating different types of fasting or maybe playing around with your calorie and/or macro intake? Sometimes your body can adjust to the same thing over a period of time and it needs a new/different stimulus to break past a plateau. I lost 20 pounds this month(first month in keto) and I am pretty sedentary. Going to be adding some exercise in with it soon but just wanted to let you know it’s totally possible. Travis try doing a 24 hour fast. Hi, Im on my week 2 and first I lost 8lbs and second week nothing. I was wondering how is your weightless going since it sounds just like my experience. Did it get going for you? I would appreciate your reply. Thank you. Generally you only drink water on a fast. Thank you for sharing this!! I felt a lot of guilt even looking this topic since I just started the Keto diet about a week ago. I had asked my friend who started as well and she gave me a lot of grief for even bringing it up. I don’t plan on doing a cheat day soon or even at all, but I wanted to know since a previous diet had suggested one cheat day a week or so. This was very informational. I’m still not sure how I feel about the cheat day. I know for sure I want to make this new diet a habit before even making such a decision. But this really helped me find out the whole concept and how it fits in with this special type of diet. Thank you! A good way to hold a 24 hour fast is this: Have an early lunch and stop eating at noon. You’ll skip dinner and breakfast, but get a good nights sleep. That way you’re sleeping for much of the fast. Break your fast at noon, 24 hours after you began. Hi Christina: Why would you feel guilty eating tortilla chips if you count them towards your carb intake? I have eaten tortilla’s with sour cream, salsa and shredded sheddar and did not feel guilty at all. I simply tracked what I was eating and I stayed within my limits. I’m guessing if you ate more than what was allowed, I can see how the guilt would set in. But you should not feel guilty if you’re not doing this all the time. On the other hand, if you had cake or something like that… which I did, that was a lot of guilt which wasn’t worth it. Now I’m back on track. Instead of cake, I’m going to eat no crust cheese cake which will be tastier and not as bad for me. Thanks for sharing this Aaron! As one who is new to this ketosis lifestyle, hearing this makes me feel like I don’t have to struggle with this along or feel as though I can’t ever have something that I enjoy. I know it’s not worth the frequent cheats or going way overboard, but every now and then or for those special occasions like my upcoming B-Day, 4th of July, Labor Day and the holiday, I’d like to enjoy the cheese cake with a tad bit of crust or a slice of sweet potato or apple pie. And I’m sure I can cut way down on the crust or not have it at all. I’d still be ok. Thanks! Hi Jada, I’m with you. I have been on Keto since March 26th and I’ve only lost a couple of pounds. This is my first time being on Keto or ever hearing about it but I’m so glad my Dr. introduced this diet and lifestyle change to me. It has been quite an adjustment but so far so good. I ate something I wasn’t supposed to on Saturday and felt really guilty so I walked for 3 miles to burn calories. Overall, I believe this is going to change my life, but I am a bit discouraged with the loss of lbs so far. I expected to see more after a few weeks. I realize everyone’s body is different, but I seem to be way behind the results that others are sharing. I eat 1400 calories a day… sometimes less and I don’t drink sugary beverages or fruits nor do I snack in between meals unless I am hungry. I have 50lbs… now 47 to lose. Like Jada, any help, suggestions or recommendations would be greatly appreciated.! Thank you! Yep, eat zero carbs for 2 days I would just about gaurantee you’ll be back in keto. I do cheat meals. Yes it kicks me out of keto for a day or 2. But it also gives my kidneys and liver a break too. Losing weight is a marathon not a race. Do whatever it takes to stick to your guns long term and not give up. If that means an order of tater tots once a week, do it. Just my opinion. You can also try doing a bacon fasting for a week where you only eat bacon in the amount close to your macros. Hi all, this is very interesting. I used to be a professional athlete and was always on diets, but more high protein, high carbs. And I always had one or two cheat days a month and I was fine. I opted for the Keto diet as I almost died last year (hemoglobin levels were down to 2) and then I got diagnosed with severe Ulcerative Colitis. 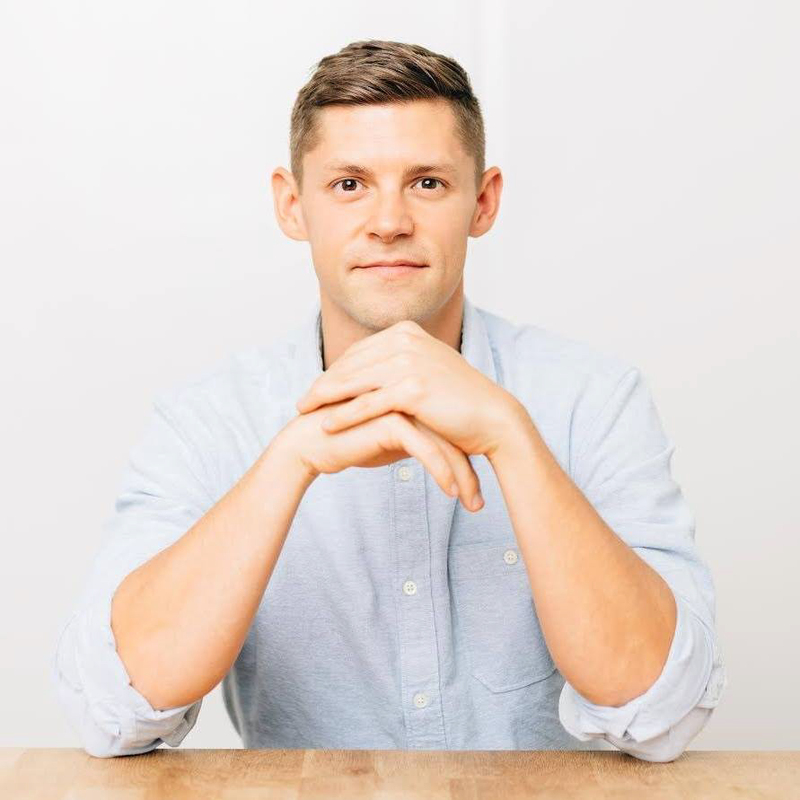 I read so many success stories of people with Ulcerative Colitis and Chron’s that switched to Keto. I do not really have to lose weight, I am pretty lean. I want to heal my gut which Keto will do. But said that, I am sure I will have my cheat days, maybe one or two per month max. and have a pizza or sushi.I was in Keto after 6 days, which means my body adopts fairly quick. Did not have my first cheat meal yet, I hope I won’t feel too bloated or get a Keto flu, but the first cheat meal will show me….. I am 62 years old and 180cm (5’11) tall and have been in Keto since April 4th. My main reason for starting was to lose weight. For decades now my average weight was about 103kgs (about 225 lbs for you Americans) and after three months on the diet I have lost a bit over 14kgs (30lbs for you Americans) and I am still sort of shocked when I see the changed me in the mirror in the morning. For me, though, what has been an amazing side benefit is the drop in what had been dangerously high blood pressure. At one point I had a reading as high as 184 over 140 and that was on proper meds! In just one week after starting Keto I began to see “green” instead of “red” on my Omron blood pressure reader and after two weeks on the diet, my blood pressure has consistently been in the safe/normal zone. I read the initial article and all the comments because I see this as a way of life now and not a diet. Having this life-long goal in mind, cheat meals are an interest. For the past 4 years I have been living in the land of pasta, pizza, risotto, and some of the best bread and potatoes in the world. Italy is carb heaven or hell, depending how you look on it. I don’t want to cheat with sweets. No, it is the odd Bonci pizza, or small plate of pasta Amatriciana or risotto that I have a hankering for. I have not really looked into the carb cycling yet, but will read up on it. In my mind I would see myself cheating perhaps once, maybe twice a month, usually when company comes from Canada or there a birthday or something. I have found the whole cauliflower rice substitution thing quite interesting but Italy, or at least small town Italy, as opposed to big city North America, adheres to vegetable seasonality. When I started the diet, cauliflowers in white, orange, purple and green versions were readily available. Now I am struggling as they are out of season. Thank god water bufala mozzarella and a million other delicious high fat cheeses are available year round and are so cheap. Anyway, I see it is a calculated risk and when I am down another 5kg I am going to seriously look at it. I have been on keto for 2 yrs & 7 months. It is a lifestyle change, I have 1 cheat day every week, It depends on the person if you fall off get right back on track, do not beat yourself up! 139lbs gone & my cheat meals keep me sane. I’ve been doing a modified Keto/low carb plan for about 7 weeks, and am down 17.3 lbs. What I have found to be extremely helpful is that I do intermittent fasting (16/8) and track every little bite I eat into an app (I have been using Carbmanager). I have slowly incorporated berries after week 6, but limit to only once or twice a week. After week 4 I allowed myself a cheat day, and was pretty surprised that I didn’t really cheat too bad. What you think you might crave changes when you see how it can interrupt the process. I continue to be very mindful of that, if I feel I want to cheat. Risk vs reward. Not worth it for me right now, that may change once I’ve hit my goal. Also, I don’t have a gallbladder so I monitoring my fat intake, as this can be an issue. However, I have purchased a supplement to take to help with this. Ideally, I’d like to lose another 33 lbs, but I will let my body determine where my weight should be, not the scale. My question is, what happens once I hit my goal… do I continue or can I maintain my weight through cyclical keto? QUESTION: IF I regularly do 48 hour fasts, is it better for me to cheat right before or right after? I have a bit of an iron stomach so indigestion isn’t so important a consideration- just net effects on my weight loss goals. I enjoyed your post! First visit to the site. Note to anyone going on vacation and wanting to cheat on your diet. One incredible way to do this is with intermittent fasting. Track what time you ate last the night before and wait 16 hours to eat again. If you can find time for some quick cardio in the morning you’ll be right back into ketosis. Begin your eating at the 16 hour mark and include lots of protein. Then eat pretty much whatever you want and repeat. If you really want the best of both worlds you just need to give up breakfast and workout at the end of your fasting window. You’ll stay in ketosis and or easily re-enter it right when your vacation is over even if you binged on drinks and cheesecakes. I’d wager you still won’t top 3k calories a day this way. Take a bunch of exogenous ketones your first week back from the trip and you’ll be just fine. You know what? I follow a keto diet 6 days a week. Saturdays are my cheat days, when my husband and I go out on dinner dates. Not may places are keto friendly anyway, and I just need to have some fun. I have NEVER had a problem losing weight doing this. I am the thinnest I’ve ever been in my life. Even after my cheat days, I don’t crave carbs, I don’t experience keto flu, I don’t gain weight, and no, it is NOT hard for me to go back to the keto menu the rest of the week. But, this is what works for ME. My mother told me the other day that her doctor told her, “If you find a diet routine that works, it doesn’t matter what it is, but if you find one that works for you, keep it! Stick with it!” Well, a cheat day works for me without visible consequences. Now, my cheat days don’t mean I get up in the morning and eat a bowl of ice cream for breakfast. Instead of eggs and avocados, I’ll have a bowl of Cream-of-Wheat with sugar, Cheerios with a squirt of honey. For lunch I might have a regular sandwich, or soup from a can. For dinner, it’s fair game. I’ll order Thai food with rice, or BBQ with mashed potatoes, and a dessert. The next day? Totally fine. I’m not sluggish, fat, etc, etc. Again, it works for me. Doesn’t mean it’ll work for everyone else. I Started the Keto diet 4 months ago to lose weightand have had three cheat days over this time. I have lost 9.6 kg, my cholesterol is down to a healthier range, my blood sugar has dropped from a fasting 6 to a normal 5.4 and my Dr is very pleased and said to just keep doing what I am doing. About three times over the four months on the diet I felt very tired and start craving sugary carbs. I have had a cheat day when I felt like this and I seem to feel a lot better for it and start on the keto diet the next day without the drained feeling. I am beginning to think I need my occasional cheats to build up my carb stores perhaps.